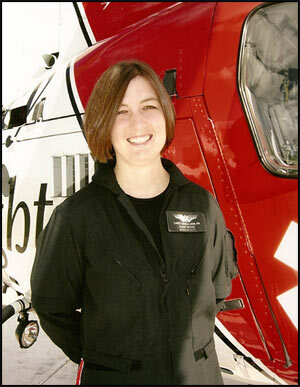 In addition to the Darcy Dengel Nursing Scholarship, which is awarded along with the other Mercy Flight scholarships, Rich and Donna Dengel of Lewistown established this named endowment scholarship in memory of their daughter to help students who share Darcy’s childhood dream of one day becoming a nurse and her passion for helping people. This scholarship is to benefit students pursuing a BSN or master’s degree in nursing. The Dengel family also created a foundation in her memory called Darcy's Place. The foundation provides a nursing scholarship to assist students pursuing a BSN or master's degree. To find out more or to apply for the scholarship, please visit www.darcysplace.org.